This well-established shop is located in the old streets of Johana, Etchu Province's own little Kyoto. With its spot right next to the Johana Betsuin, tourists also walk in to try the abundance of sashimi, grilled fish, and boiled dishes. 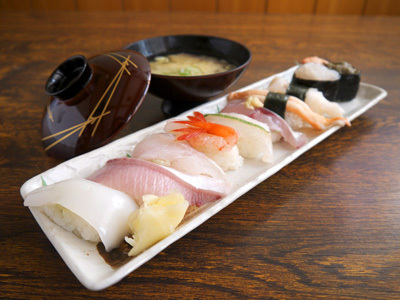 We recommend their value lunch (880 Yen) and the voluminous seafood rice bowl.